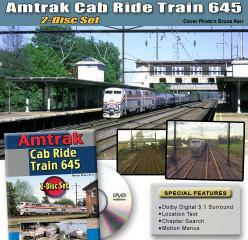 see the end of individualized passenger service, and the beginnings of Amtrak. 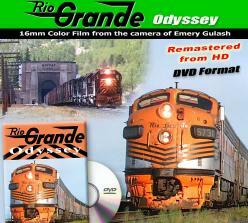 The 3-foot gauge D&RGW's Monarch Branch in 1949 - The posh San Juan Express hauled by #476 from Antonito, through Cumbres to Durango. 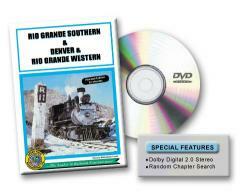 The Rocky Mountain Railroad Club's May 28-29, 1949, excursion on the Rio Grande Southern...Much More! 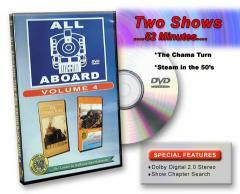 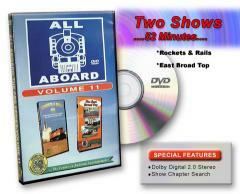 All Aboard Two show DVDs, Two All Aboard shows on each DVD! 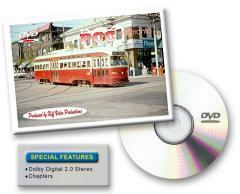 This long awaited re-issue of the Toronto Hamilton & Buffalo Ry., is now on DVD with Enhanced Video & Audio. 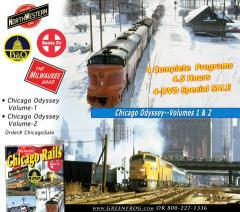 Fantastic Historic railroad action in Chicago...from the 1950's and 60's! 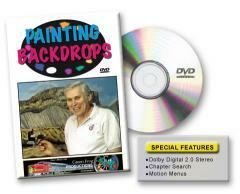 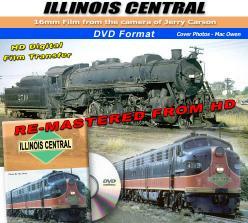 Re-Mastered and Enhanced from HD and our original D-2 Broadcast Masters!! 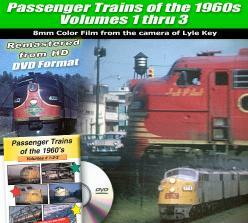 Early 1962--In this Historic two disc set, we will see the end of individualized passenger service, and the beginnings of Amtrak..
Volume one takes us along the former Baltimore and Ohio mainline beginning at the large classification yard in Willard, Ohio and concluding at the Indiana / Ohio state line. 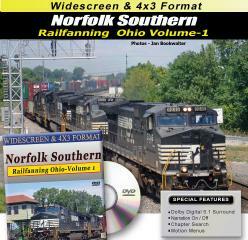 Take a trip around the Norfolk Southern system. 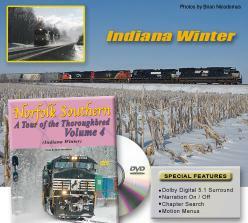 Volume one follows the former Conrail Chicago main line between Toledo, Ohio and Elkhart, Indiana, which is known as one of the busiest corridors on the entire Norfolk Southern system. 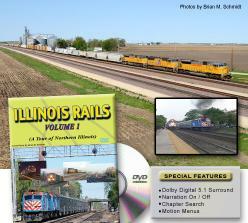 We will begin where volume one left off in Elkhart, Indiana, and continue west to downtown Chicago, Illinois. 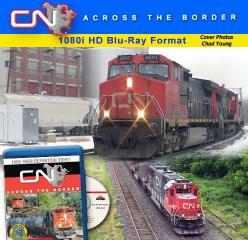 10 Minutes of extra footage!! 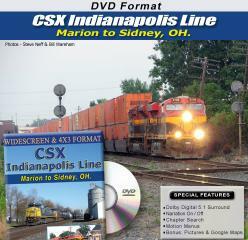 View coverage of this single track mainline in Southwest Ohio between Hamilton and Vandalia Ohio. 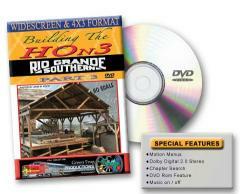 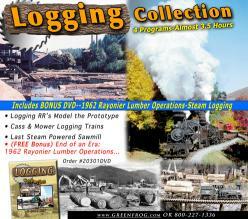 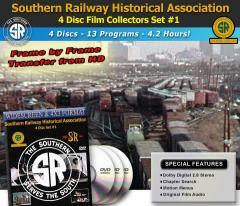 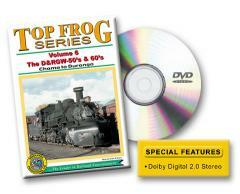 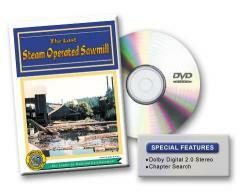 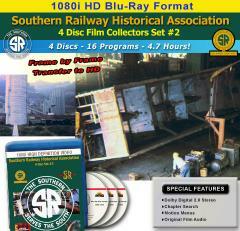 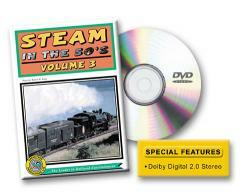 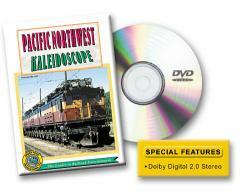 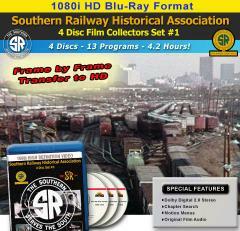 You saw it in Trains Magazine, now see and hear this incredible operation on DVD. 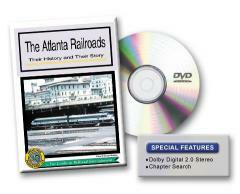 This fast paced DVD of action between Atlanta and Chattanooga will keep you on the edge of your seat! 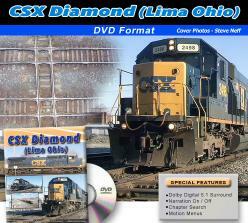 Spectacular scenery, mountain railroading, pusher service, spectacular bridges, rivers...all the things that make railroading enjoy-able to watch...this is what you'll find on Volume 2 of our CSX series. 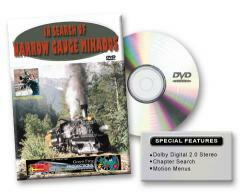 Volume 3 takes you through the rolling hills and mountains of Tennessee and Kentucky with spectacular, fast paced action. 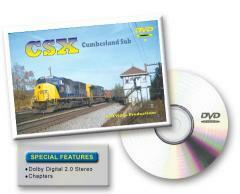 Volume 4 of our CSX series is filled with beautiful Appalachian scenery, as photographed in fall colors. 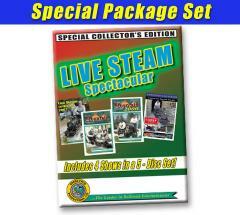 Typical of this exciting division, are fantastic bridges, tunnels, and fast paced action. 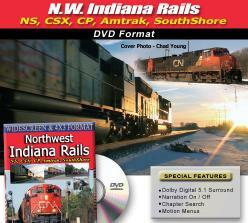 Follow over 200 miles of track through beautiful fall scenery on this journey from Pittsburgh to Willard, Ohio. 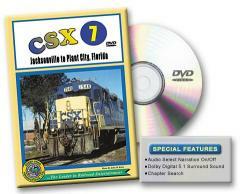 Green Frog takes you on a tour of the exciting, and frequent train operations between two major cities in Florida... Jacksonville to Plant City. 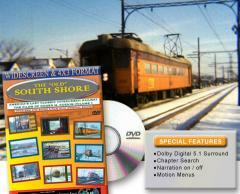 This DVD takes you on the Baltimore Service Lane, and the Cumberland Business Unit. 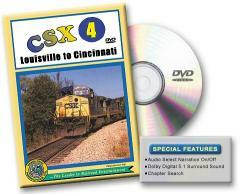 The terms 'Service Lane' and 'Business Unit' are CSX's new definitions of a 'Division' although 'Sub-divisions' are still part of each 'Service Lane' and 'Business Unit'. 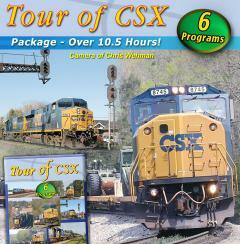 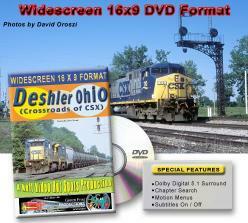 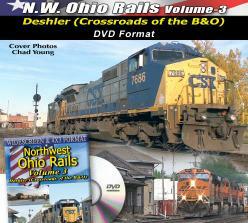 Volume 9 takes us between Willard, Ohio and Deshler, Ohio...One of the busiest mainlines on CSX. 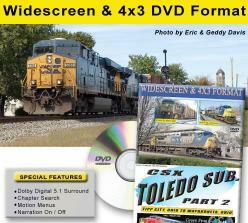 Travel with Green Frog's cameras along two sub-divisions of CSX's very hilly regions between Augusta, Georgia and Spartanburg, South Carolina. 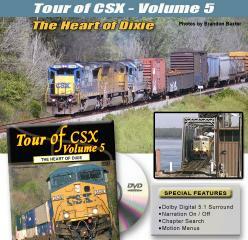 You'll see heavy freight action with helpers at the rear on Clark Hill, Sneads Hill and Ora Hill. 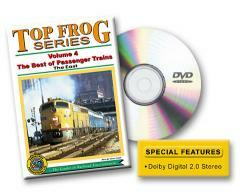 Travel with Green Frog on an action packed trip over CSX's Abbeville Sub. 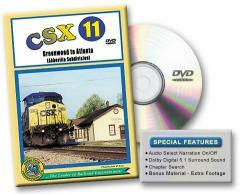 This DVD picks up at Greenwood, South Carolina, briefly featured on our very popular CSX 10 video, and covers the line all the way to Atlanta. 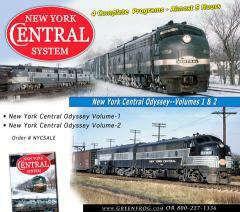 Spectacular tour of the former New York Central lines that serve Albany, New York..
Go deep into the valleys of eastern Kentucky, western Virginia, and eastern Tennessee, follow the Kingsport line of CSX--formerly the Clinchfield Railroad. 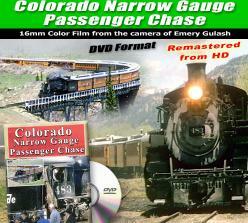 From the Camera of Emery Gulash! 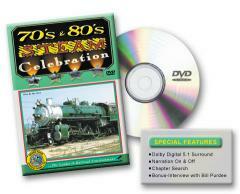 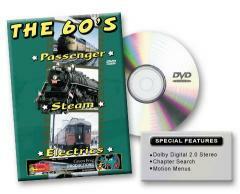 Travel back to the 1960s & 70s for a real blast from railroading’s past. 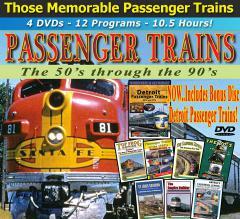 It was the Last Hurrah before the homogenization of passenger service nationwide by Amtrak. 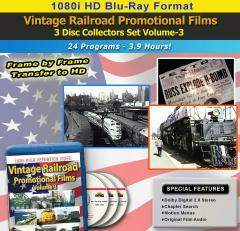 16mm Color Film Transferred on a State of the Art Frame by Frame Transfer Machine into 1080 High Definition Video for the Ultimate Color, brightness and Detail. 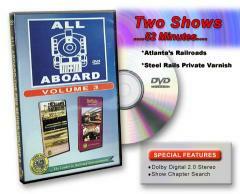 Norfolk Southern’s Georgia Division 148 Mainline from Atlanta to Chattanooga is one of the south’s busiest, yet it remains unknown to most rail-fans. 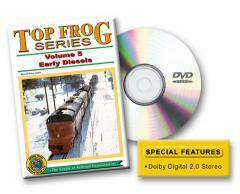 Travel with Green Frog as we explore the single-track line well hidden in the forested mountains of North Georgia. 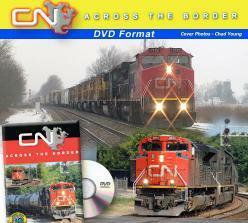 Follow the Green Frog camera's as they track down Norfolk southern on our second action filled NS video. 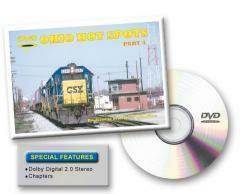 Volume-2 covers the action between Debutts Yard in Chattanooga to the crew change point at Oakdale. 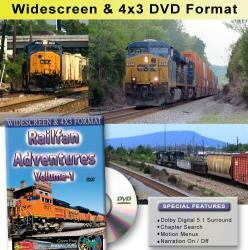 The fast-paced action continues as Green Frog’s camera's take you deeper into Norfolk Southern’s throbbing Rathole line from Oakdale, Tennessee, to Somerset, Kentucky. 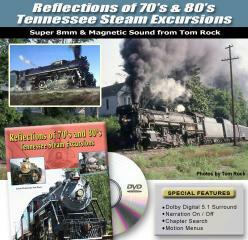 Visit the coal mountains of West Virginia with Green Frog photographer Rich Scheid, beginning in Blue Field, WV., and working north through Mayberry, Switch Back, Elkhorn, Kyle, Northfork, Keystone, Kimball, Superior, Welch, and Roderfield. 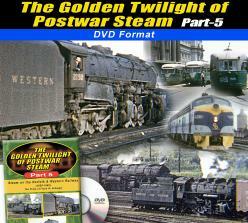 In Part 2 of our series on the Pocahontas Division we continue our visit through the coal mountains of West Virginia. 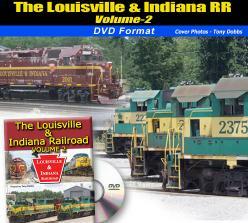 Rich Scheid captures the action at Roderfield and then continues northwest through Iaeger. 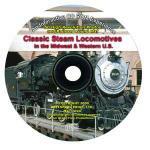 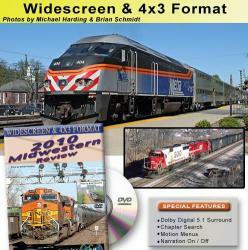 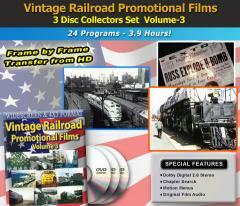 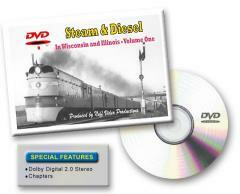 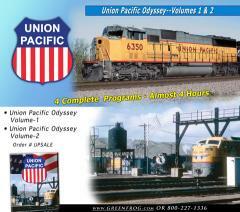 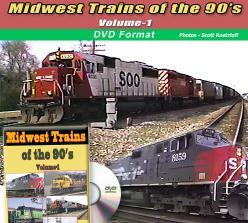 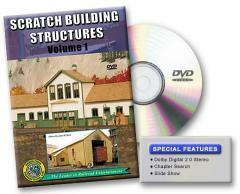 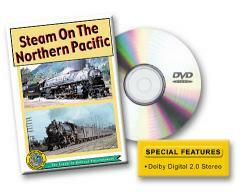 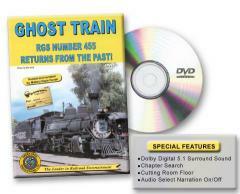 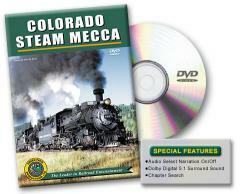 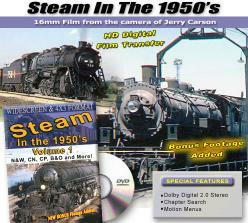 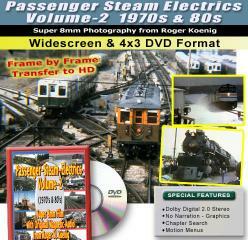 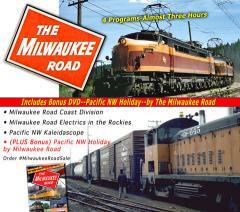 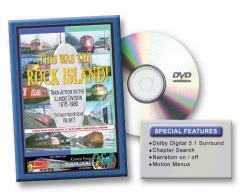 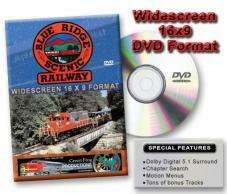 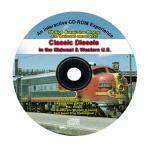 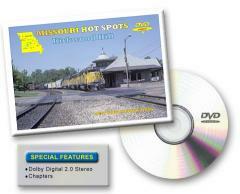 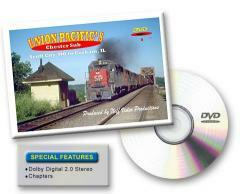 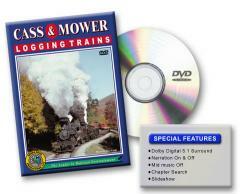 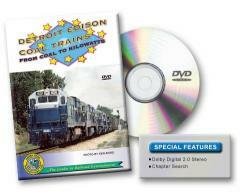 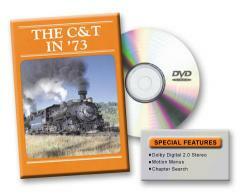 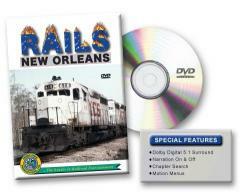 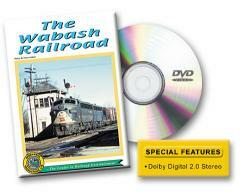 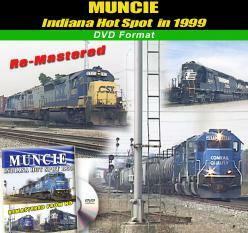 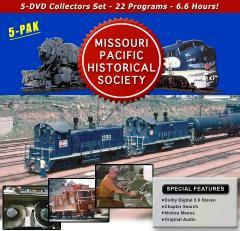 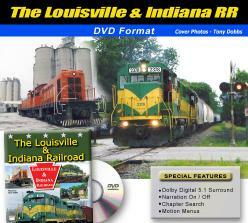 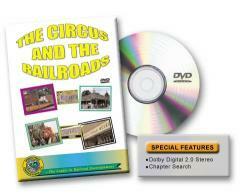 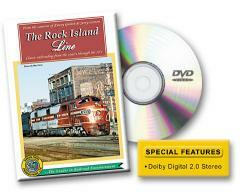 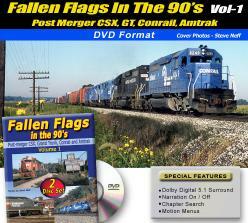 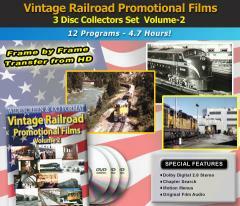 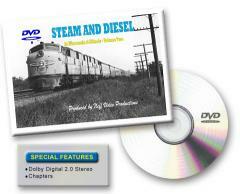 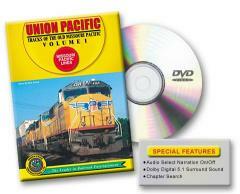 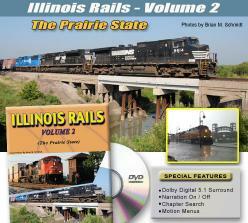 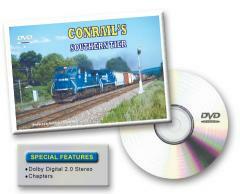 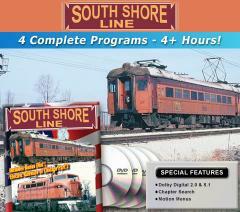 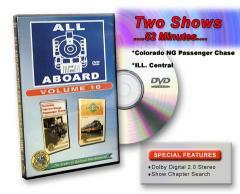 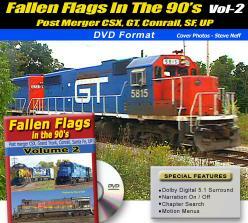 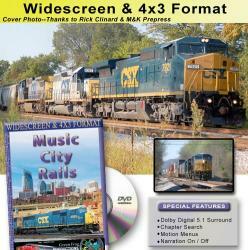 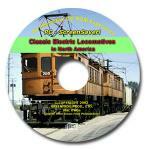 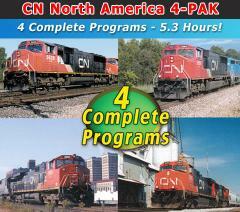 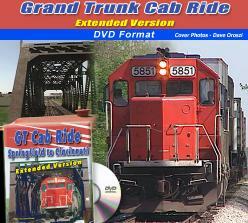 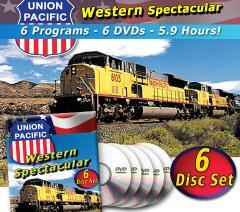 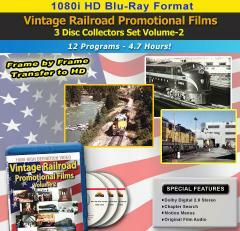 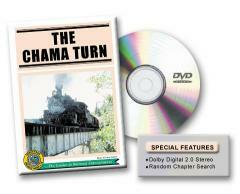 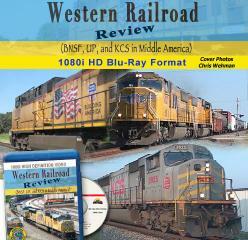 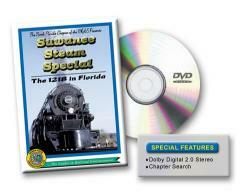 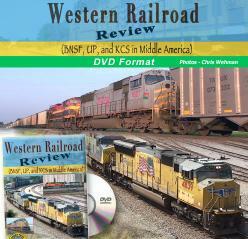 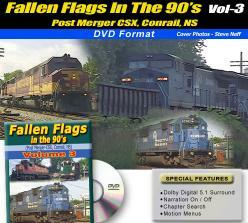 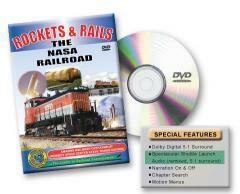 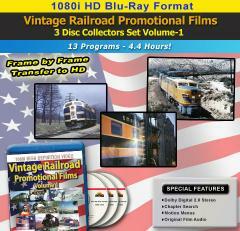 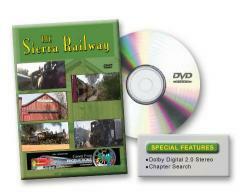 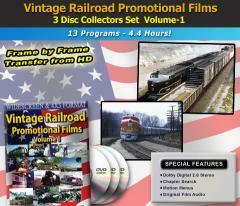 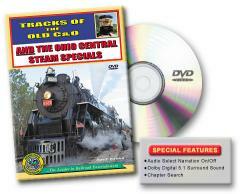 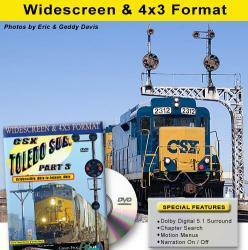 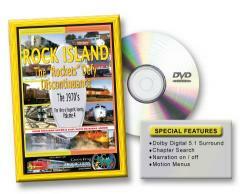 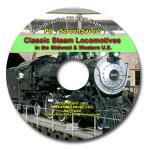 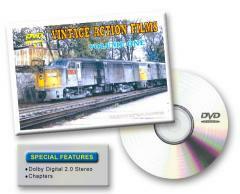 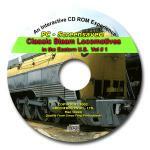 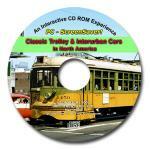 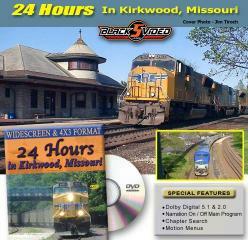 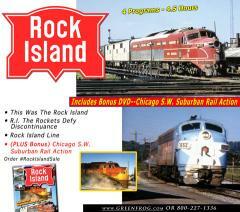 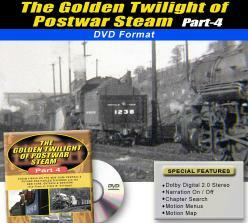 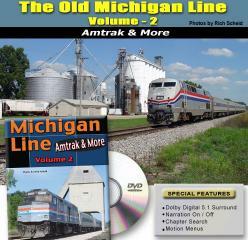 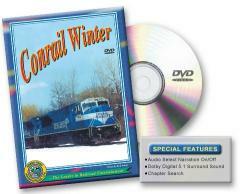 3 complete Passenger Train programs on One DVD! 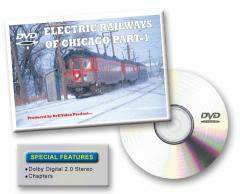 Rich Kugel takes us on whirl wind tour of more Chicago “hotspots”. 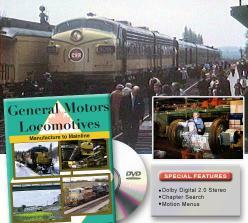 Remastered from upconverted HD masters for the ultimate quality! 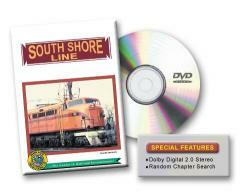 4+ Hours of SouthShore Electric Footage! 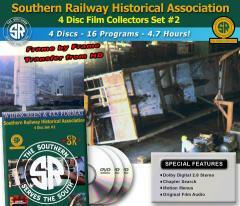 16mm film from the collection of Tom A. Strid--From 4-8-8-4's to 2-8-0's. 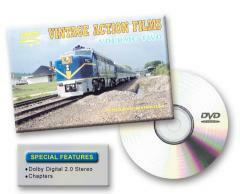 Beautifully photographed and 99% in FULL COLOR! 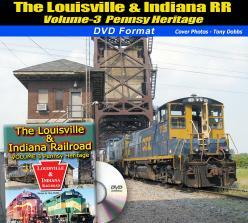 Volume 1 begins with Henry Ford’s railroad in the 1920’s, and his building of the DT&I. 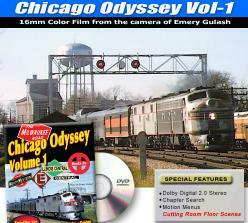 Next the program continues with famed rail photographer Emery Gulash’s 16mm color photography of the railroad in the 1960’s. 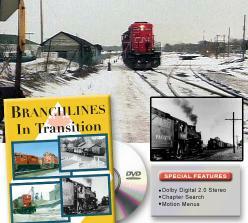 Volume 2 takes over where Volume 1 left off, and follows the railroad after the merger with the Grand Trunk in late 1983. 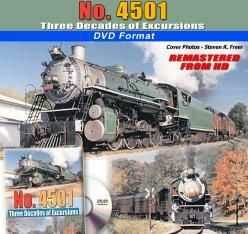 From the camera of Emery Gulash, we follow the NKP from the mid 50's to the mid 60's just prior to the railroad's merger with the Norfolk & Western...Plus the AC&Y RR. 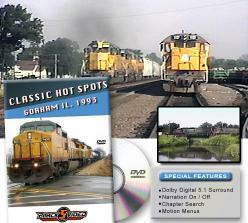 The best steam scenes taken from many of Emery Gulash's videos released over the years..
From Chicago--west along the Burlington Route. 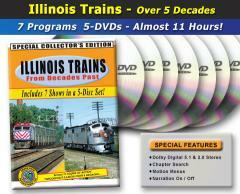 50s, 60s and 70s equipment and trains.. 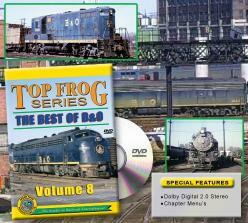 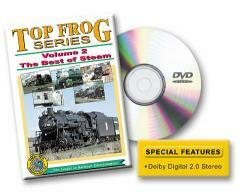 In this Top Frog series, we’ll cover The Best of B&O starting with some vintage black and white footage and quickly moving over to color film shot in the 1950’s..
From the professional digital camera of Rich Scheid, we start at the Kentucky-Ohio border and follow the old C&O North-South mainline (now CSX) up through Columbus, Ohio..
From Illinois to California we bring you some of the most marvelous freight action ever assembled into one program. 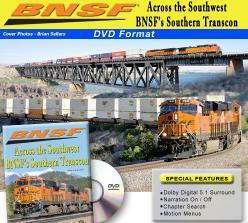 Fast paced, beautiful photography of freight service across the U.S..
We bet you've never seen a DVD like this, with an N-scale roller coaster made with N-scale Atlas flex track. 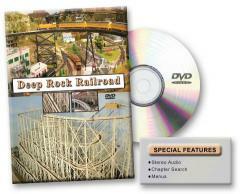 There are REAL roller coaster sounds and real roller coaster thrills, wait until you see how fast they whip around those curves! 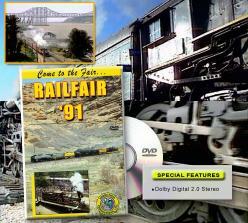 This DVD has 85 minutes of model railroad glory. It has lots of hot train action, including plenty of switching, and is narrated in an entertaining style you're sure to enjoy. 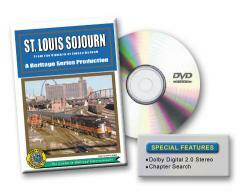 This 26 program series, originally aired on PBS, examines many aspects of the North American Railroad scene. 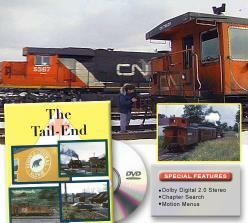 Each episode explores a small portion of the steel rail system which played a major role in the development of North America. 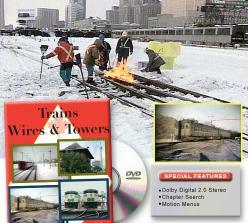 Many of the shows incorporate historic film footage recording the early days when the trains were powered by the steam locomotive. 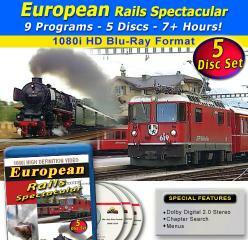 Beautifully restored European RR programs, from EK-Verlag. 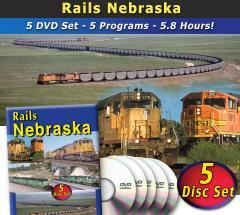 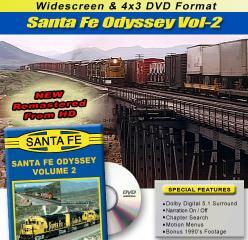 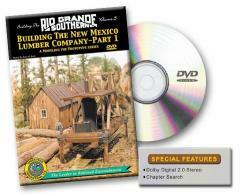 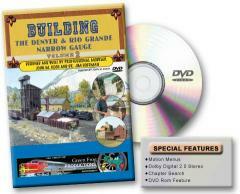 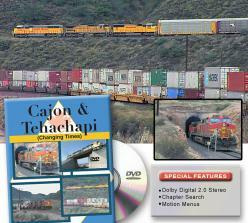 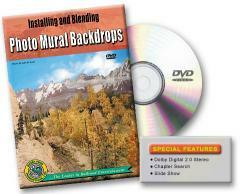 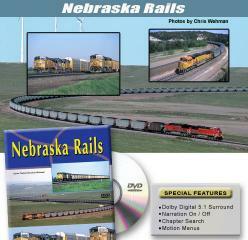 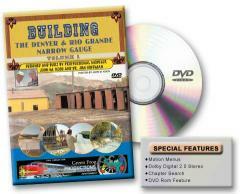 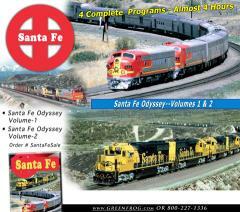 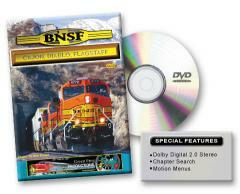 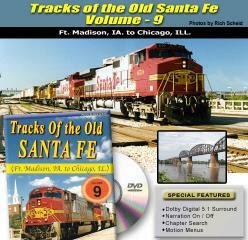 You get 11 Hours of BNSF Old Santa Fe Material from the Professional Video Camera's of Rich Scheid! 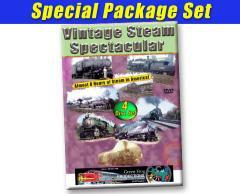 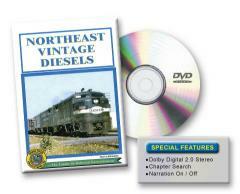 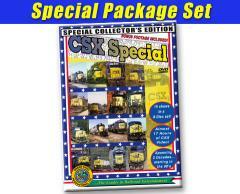 Includes Bonus Program - NE Vintage Diesels!! 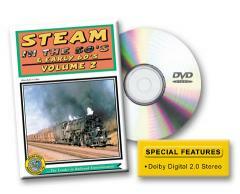 This volume of Remembering Steam can be used as Foreground or Background sound. 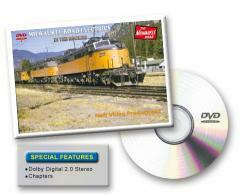 These sounds were recorded by avid railfan Don Shelly over a period of many years. 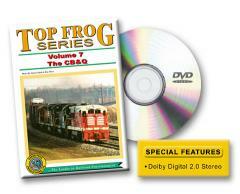 Don used very high quality DBX Analog recording equipment for his Recording projects, and Green Frog is proud to release these sounds. 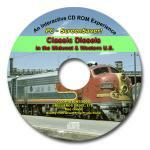 This item is a Downloadable product and after you submit your credit card info and purchase this item, you will recieve an automatic E-mail with a link for you to download this complete CD. 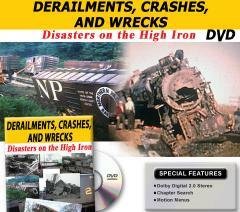 This is a VERY High Quality, TOP Level Video Production featuring this HO Scale Model Railroad, and Green Frog Productions is Proud to be able to present this DVD for sale! 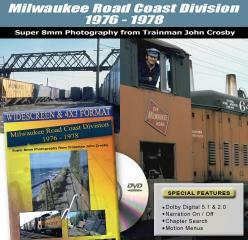 This is a VERY High Quality, TOP Level Video Production featuring this HO Scale Model Railroad, and Green Frog Productions is Proud to be able to present this Video for sale! 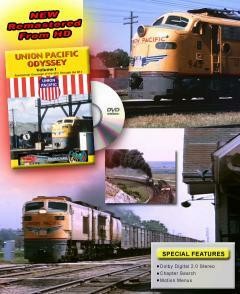 A faithful replica of the most enduring symbol of our nation. 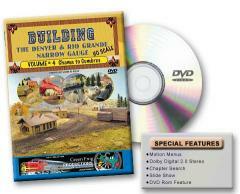 See this masterpiece in miniature on this incredible video! 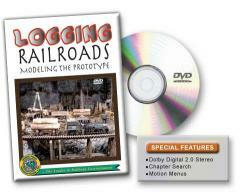 The only authorized video of the Whitehouse Replica.